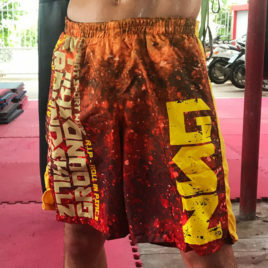 Groundskillz shorts for everyday. Summer design fresh colours. 100% polyester and pockets with zip. Perfect for the summer time and going to the beach and to the gym.